501(c)(3) Changing the World...One Child at a Time. 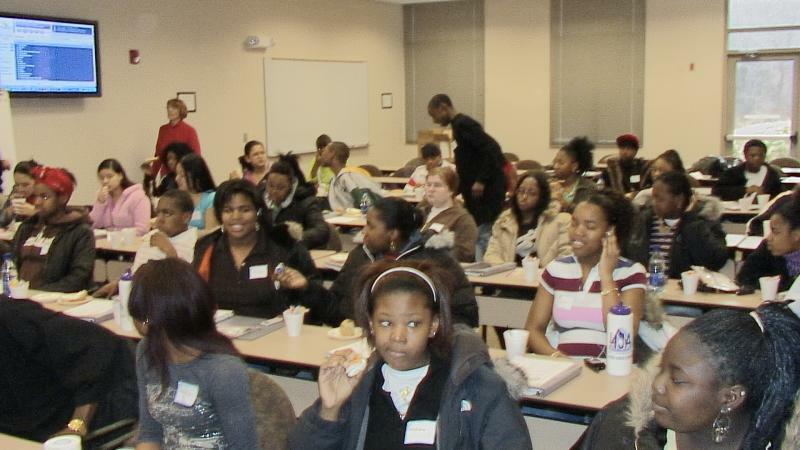 The T.U.F…Kids HIV/AIDS PEER-EDUCATOR PROGRAM was created in September 2005. The program was created to professionally train high school students to teach their peers about HIV/AIDS awareness and prevention. The peer educators were trained in every aspect of HIV/AIDS, by licensed medical doctors and nurses from the University of Miami/Jackson Memorial Hospital, in conjunction with Miami-Dade County Public Schools, then tested and certified by those entities as peer-educators. After starting his own non-profit organization, Hands Across the Water, Mr. Hession brought the program to New Jersey and began working on making the appropriate connections to make it happen there. The response was overwhelming. Joining the group was Mark Bailey from TCHS Medical Arts Academy, Marylou Freund from Henry J. Austin Health Center, and Joe Sirak from Capital Health System – Early Intervention Services (E.I.S.). All of these separate entities united to form the T.U.F…Kids program, which stands for Trenton Unites For Kids, which is exactly what happened. The immediate goal of the T.U.F…Kids program is to create a select group of highly trained, highly motivated, peer-educators to give presentations. 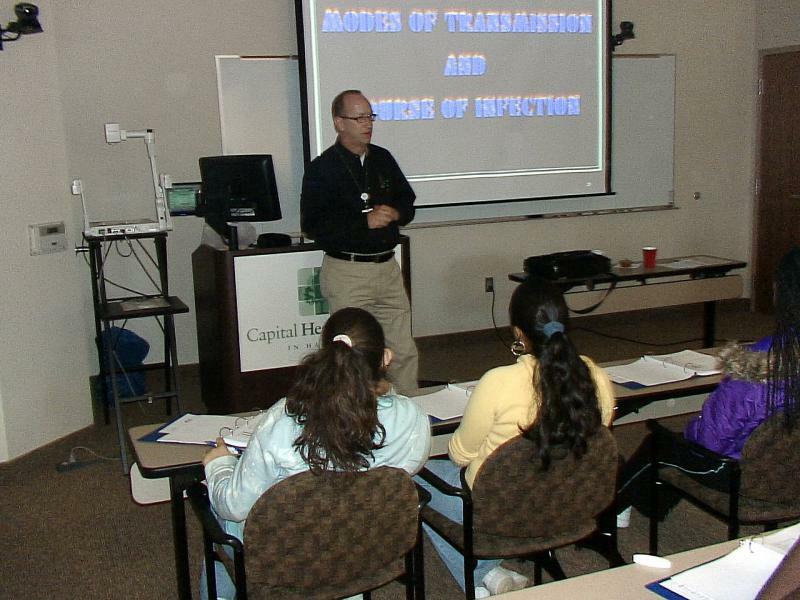 The training sessions are scheduled to take place quarterly at Capital Health System in Hamilton, NJ. At these sessions, fifty students from DTHS and TCHS complete the initial training, successfully complete the examination, and, subsequently, become certified peer educators. They go back to their schools and, together with their group leader, set up trainings in the lower level schools. The long-term goal of the T.U.F…Kids program is to put as many students from the Trenton Public Schools through this training as humanly possible. Even if these students do not plan on being peer-educators in the future, they will still have the knowledge of this deadly virus that will, hopefully, keep them from participating in any of the risky behaviors that help spread the disease and, therefore, allow them to live long, healthy, and happy lives. Empathy for those with the virus should also be created. 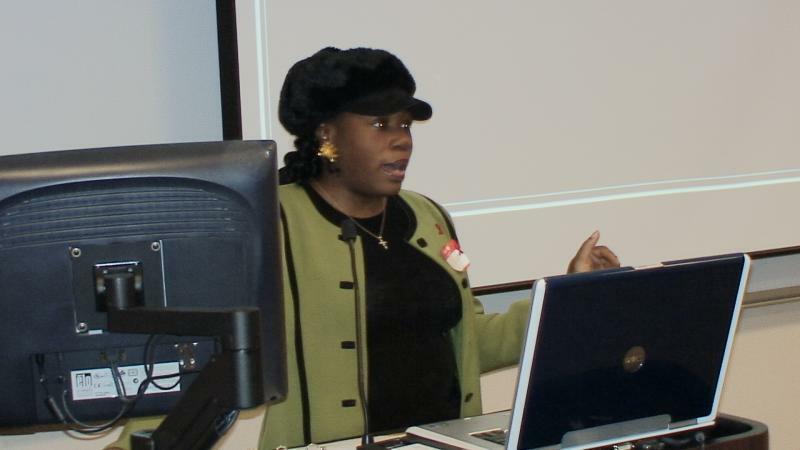 Bringing in decades of training and expertise in their respective fields, the T.U.F…Kids members have created an extensive HIV/AIDS training program that teachs Trenton public high school students how to go out to the middle schools, elementary schools, and the wider community, and spread the same knowledge that was imparted to them in their trainings. After their training is complete, they continue to work with Capital Health System (EIS) and Henry J. Austin Health Center, as both interns and student volunteers, to help with the servicing of HIV/AIDS patients with counseling, testing, and treatment at their facilities. It is their belief that, given the delicate nature of the topic of HIV/AIDS, students would be more likely to respond to, and take heed to, information provided to them from someone that looks, talks, and thinks like they do, rather than an authority figure that is seemingly “out of touch” with them. 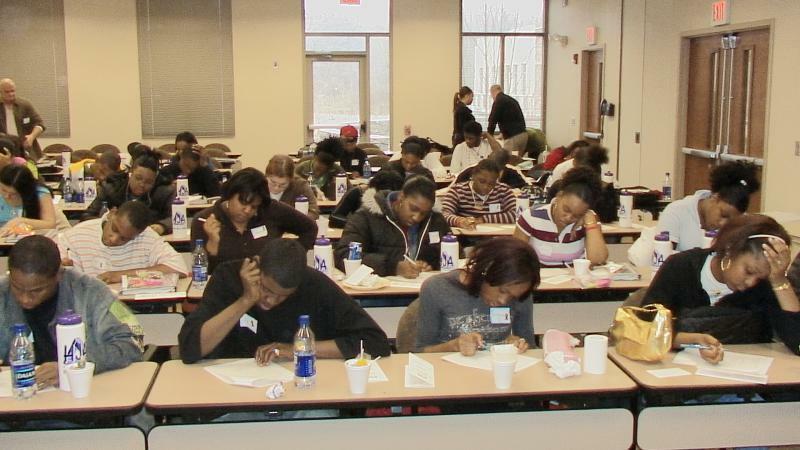 With this in mind, the members of the group have committed themselves to setting up quarterly training sessions that bring together the students, along with professionals in the medical field, educators, guest speakers, as well as advocates from the community, to give the students the HIV/AIDS background they need to create a ripple effect that would spread HIV/AIDS awareness and prevention from the high school level down to the elementary school level. In 2008, CDC estimated that approximately 56,300 people were newly infected with HIV in 20061 (the most recent year that data are available). Over half (53%) of these new infections occurred in gay and bisexual men. Black/African American men and women were also strongly affected and were estimated to have an incidence rate than was 7 times as high as the incidence rate among whites. Visit the HIV incidence page for more details. 1Hall HI, Ruiguang S, Rhodes P, et al. Estimation of HIV incidence in the United States. JAMA. 2008;300:520-529. In 2007, the estimated number of persons diagnosed with AIDS in the United States and dependent areas was 37,041. Of these, 35,962 were diagnosed in the 50 states and the District of Columbia and 812 were diagnosed in the dependent areas. In the 50 states and the District of Columbia, adult and adolescent AIDS cases totaled 35,934 with 26,355 cases in males and 9,579 cases in females, and 28 cases estimated in children under age 13 years. The cumulative estimated number of diagnoses of AIDS through 2007 in the United States and dependent areas was 1,051,875. Of these, 1,018,428 were diagnosed in the 50 states and the District of Columbia and 32,051 were diagnosed in the dependent areas. In the 50 states and the District of Columbia, adult and adolescent AIDS cases totaled 1,009,220 with 810,676 cases in males and 198,544 cases in females, and 9,209 cases estimated in children under age 13 years. The T.U.F…Kids program recognizes strength in numbers. Any person, place, or thing, interesting in helping keep our kids safe is welcome and desired. With HIV/AIDS around, we as educators understand that a high school diploma is worth nothing if the student is not around long enough to make use of it. Copyright 2010 Hands Across the Water. All rights reserved.